I believe that we need not climb to a mountain vista to witness beauty of nature, but only need to listen to the stories at our feet. I love to walk through our forests when the wind rains leaves in autumn. 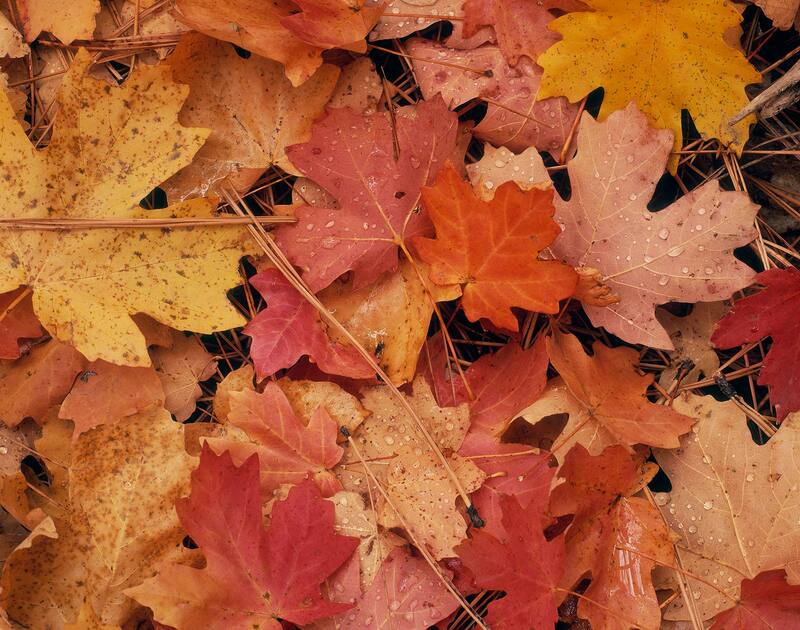 Each leaf seems to me an individual: a colorful, tragic hero, now forsaken to the snows. The afterglow of sunset reflected off the parting storm clouds overhead makes the red hues sing in this image.